Exactly 16 years from today, two young men were sitting in front of their computers just like you and me. What started as a spelling-mistake, later turned out to be the most influential brand name the world has ever seen! A company whose product gained reputation and respect globally simply by “worth of mouth” and not by any ads. A company, initially against advertising, then figures out a way to run one of the most biggest ad programs in the world! Yes, I am talking about Google! To celebrate this occasion, I wanted to write about something unique. Hence, instead of writing on something generic like “things you didn’t know about Google” (which is way to common on the web), I decided to write on “things you will enjoy searching on Google”. After all, it’s Google.com’s birthday, so why not tell you guys about some fun things you can do on Google.com! These fun things are called “Google’s Secret Easter eggs“. So what are “Easter eggs” any way? Think of them as hidden features that the search engine giant has built into their products. Why built these hidden features you ask? Well, I guess the engineers at Google developed these features just to show that they also have a sense of humour! These Easter eggs are nothing but terms that you will search on Google and some unexpected things will happen! You can show these off in front of your friends and act cool. 😉 Let’s get started. Searching for “do a barrel roll” or “Z or R twice” will rotate the search results page a full 360 degrees! (Mostly, Google will rotate the page before you finish typing!) This is actually a reference to the Nintendo video game Star Fox 64. The Game of Life (wikipedia link) is a very famous zero-player game, meaning that the game’s evolution is determined by its initial state, requiring no further input. It can be viewed as a computer simulation of artificial life. Search for “conway’s game of life” on Google and look on the right side. Google runs the simulation of Conway’s Game of Life on the search results page along with a set of controls to play, pause, maximize/restore, and step the game! Given enough time, the squares will start forming the word “Google” on the right side of the page! Awesome, isn’t it? This one is one of my favourites easter egg from Google search! Searching for “zerg rush” will display the results page with ‘O’s attacking the search results from all the directions! Clicking each ‘O’ three times will kill it. You have to kill all the ‘O’s and save the search results from getting destroyed! This is a reference to an early attack known as a ‘zergling rush’ in a popular game called Starcraft by Blizzard Entertainment. After the destruction of all the links, the ‘O’s will come together and form the letters “GG” (stands for “good game”) in reference to the standard end of the game. This one is awesome! Search for “atari breakout” and click on “Images” on the top-left (directly searching on Google images will also work). First, the page will bring up the standard results of images relating to that term. Once the page loads completely, the images then automatically shrink and colorize to resemble the squares in the famous Atari video game “Breakout” (also known as “Brick Breaker”). A ‘paddle’ and bouncing ball appears and then you can play the game on the screen! If you complete that level, Google will automatically search for something random like ‘Pea Soup’ and then you can play Brick Breaker on that search result as well! Okay, this Easter egg is not exactly from Google but it’s awesome any ways! 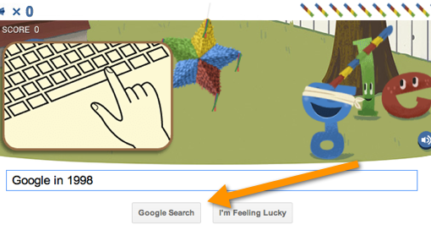 Go to google.com, type “google gravity” and click on “I’m feeling lucky“. First, you’ll see the normal Google homepage. Suddenly, all the links will fall down due to the force of gravity! You can then click and move individual links around and play with them! Tip: Even if the links fall down, all the links are still working! Try typing something on the search bar and hit enter, the results will also fall down and start piling up! This is actually a project by Mr. Doob. These Easter eggs are nothing but examples of how creative Google is! Getting a little extra always makes us happy. 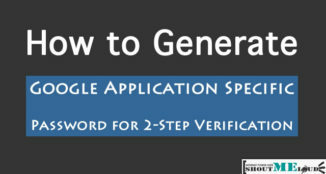 Google is already providing us with arguably the most helpful service in the world, it’s search engine, for free! Like that wasn’t enough, Google also has these little Easter eggs that resonates to popular games and media! 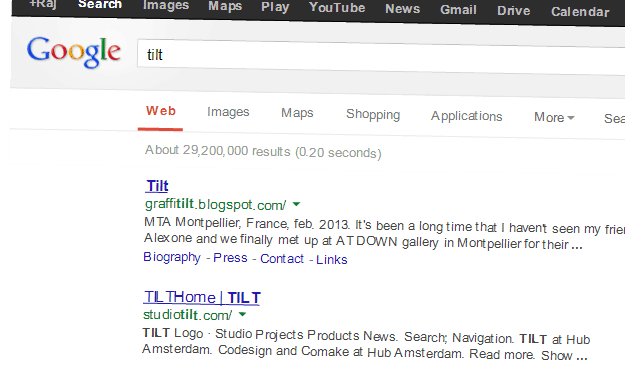 Watching these little things happen on Google makes us so damn happy! Let’s hope that Google keeps serving us in the further years to come. 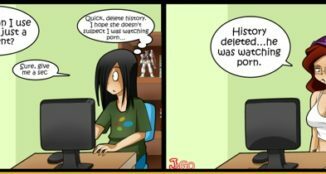 I honestly can’t imagine what the internet would be if Google hadn’t existed! Here’s a though to disturb slumber: Try thinking your life without Google or even better, what if Google suddenly shut down all its services!? That means no awesome search, no videos on YouTube, no Gmail, no traffic to your websites from Google and the worst of ’em all – no earnings via AdSense! Woah! Even to think about a world without Google gives me goosebumps! Let’s all rather be thankful to Larry Page, Sergey Brin and the awesome team at Google for being there for us. Can you think of some more “dangers” if Google would suddenly shut down!? How would it affect your life? Common, express your feelings about Google via comments. I know Google ain’t your girlfriend but you still love it, right? Let’s show the assiduous people at Google how much we love them! Don’t know what “assiduous” means? Go to google.com and search “define assiduous”! And before you jump to another post, don’t forget to share these hidden Google’s easter eggs with your friends on Google plus and Facebook. This is a guest post by Raj Mehta from Techsperia Blog. If you would like to write for ShoutMeLoud, check our guest posting guidelines. Thanks a lot 🙂 And LOL, I checked the Easter egg you told. Yet another Chuck Norris joke! ROFL! Oh my god! This is such an aweosme post!!!!! I didn’t knew we could do such things on google… Google is great indeed! and it’s really not possible to think about a world without Google. you made me realize that. You have deep writing skills and I know for some reason that you are going to achieve great heights with your writing! Infact, this is one of the most awesome posts I have ever seen in my life! and the way you used the gif images! magical! btw, how do you record such images? Hi there, Steven. Well, I am on cloud 9 now 😀 Thanks a lot for your compliments. This is what drives me towards my goals. You guys! I’ll keep working hard for sure! this was fun! I enjoyed reading it! I am still amused by how u wrote this article both as a humorous way and conveyed a very serious message… As for the fun part, i enjoyed google gravity a lot. Thanks. And yeah, Google Gravity is indeed awesome! Salute to Mr. Doob! Nice and creative post i must. i hardly visit shoutmeloud but when i visit i feel good to be here,nice post good keep going Raj. OH my god, Thanks a lot. 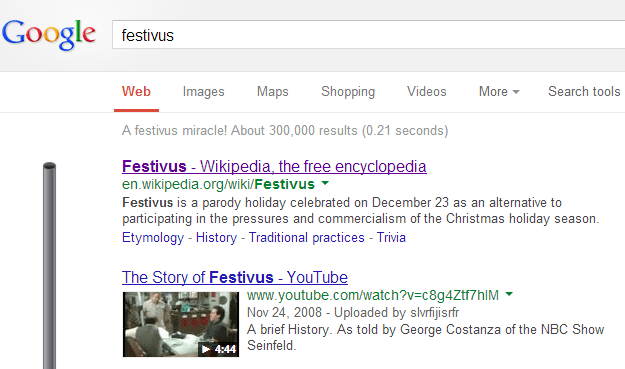 i really like Gif pics and google tricks keywords on same page. My child will be happy to see this. Keep Sharing this type of creative stuff. This is so amazing. Out of the above tools, I was only aware about Google gravity. Thanks for telling us about other awesome Google features. I love the “Atari breakout” very much.